Multiple sources are reporting that the Washington Post has hired Digg’s technology team from the once-thriving social news site. The new staffers will be tasked with maintaining the publisher’s Personal Post project and Social Reader app on Facebook while the Digg brand is seemingly being left for dead. There’s no word yet on when the deal will close but once it does, Digg will be in a much worse shape than it already is. As of writing, the Washington Post says the company has no comment on the matter. 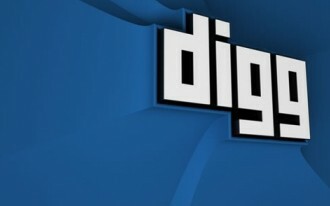 Digg was founded as an experiment by Kevin Rose and company in 2004. During its pinnacle, it was one of the hottest Web 2.0 start-ups and was able to drive a massive amount of traffic should a particular story hit the front page. This was known as the Digg effect and more often than not, it brought web servers crumbling to their knees. Those days, however, are well in the rear view as the site’s allure has waned significantly. The business has been rumored to be up for sale for some time, dating way back to 2008 and a potential acquisition from Google that ultimately led to nowhere. Failed revamps and constant changes to the Digg algorithm have paved the way for nearly all of the original management team to move on. Competitors like Reddit have taken over the spotlight and once the moving orders are official for the technology team, it will be tougher than ever to shop Digg for a new buyer.